LG is trying to get a good chunk of the mid-range market with the K10. 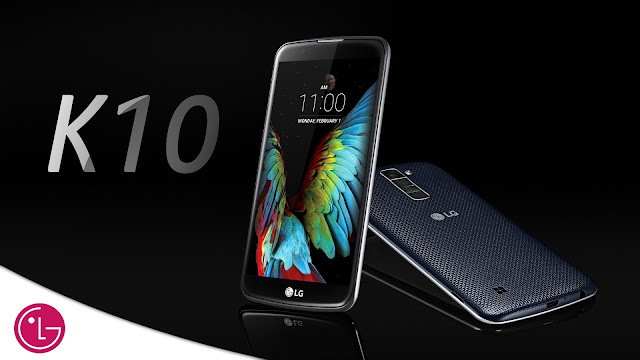 See if the LG K10 ticks your budget and your sought-after phone features. LG K10 LTE smartphone is now available in the Philippines. The Korean manufacturer is trying to position this handset in the upper mid-tier department with its 5.3-inch IPS HD display which rocks a 2.5D glass with Gorilla Glass 3 treatment. Flipping the smartphone, you will feel the glossy and pebble back panel made of polycarbonate plastic material. Inside, it is powered by 1.14GHz MT6753P octa-core processor which is augmented by 2GB of RAM for faster app launching and multitasking functions. The LG K10 LTE has 16GB of native storage for storing your multimedia files and if your files demand more space, there’s the microSD slot to give you an extra room. The LG K10 LTE smartphone is also equipped with legit camera features. There’s the 13MP autofocus rear camera with f/2.2 aperture, accompanied with LED flash. On the front, it comes with 5MP selfie shooter with “Flash for Selfie” feature. LG is marketing the device with its 4G LTE capability. This allows users to enjoy high speed internet. The device boots with Android 6.0 Marshmallow operating system; it is also equipped with a 2300mAh Li-ion removable battery to give it a decent run. You can buy the LG K10 LTE smartphone in any LG stores or authorized re-sellers nationwide for an asking price of Php 8,990. You will also get a quick cover case worth Php 1,500 for free when you purchase the smartphone on or before March 27, 2016.